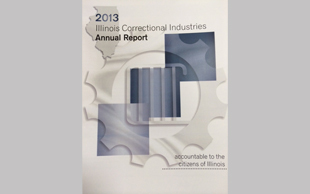 Welcome to the Illinois Correctional Industries (ICI) website! To produce over 1,000 items in our catalog, ICI employs over 900 offenders across 19 facilities . Most of them remain successful tax-paying citizens upon release. The ICI Annual Report summarizes the change and growth that occurred during the challenging Fiscal Year 2013 of doing more with less. Illinois Correctional Industries manufactures a variety of attractive Outdoor Furniture solidly designed that can utilize plastic lumber or wood. 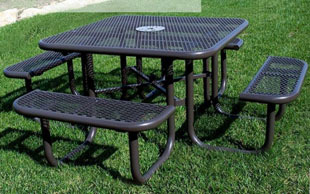 ICI produces sturdy durable expanded metal furniture in various standard sizes and dimensions; handicap accessible furniture is available as well. Contact an ICI Marketing representative at (800) 634-0213 to discuss your Outdoor Furniture needs. 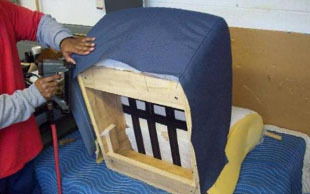 Illinois Correctional Industries offers professional refinishing and upholstery services at a low competitive price. Our craftsmanship, materials, and services are guaranteed. Contact an ICI Marketing representative at (800) 634-0213 to discuss your refinishing and upholstery needs. Successful rehabilitation is directly linked with employment after incarceration. A new worldview, renewed hope, and team work set the newly released offender up for success. ICI is part of that hope!